Lions and Top Taste send Christmas cheer to our Troops! 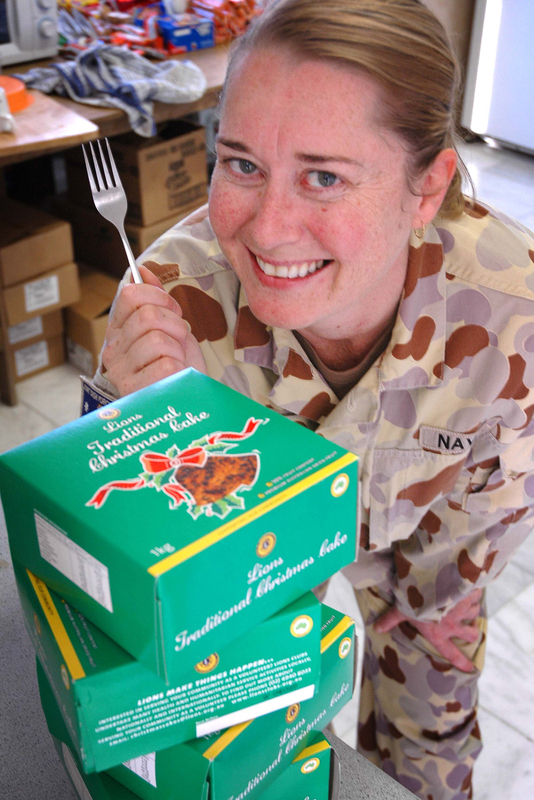 Lions Christmas Cakes have become synonymous with an Australian Christmas – and what better way to thank and care for our hardworking Australian troops than provide them with a taste of home. 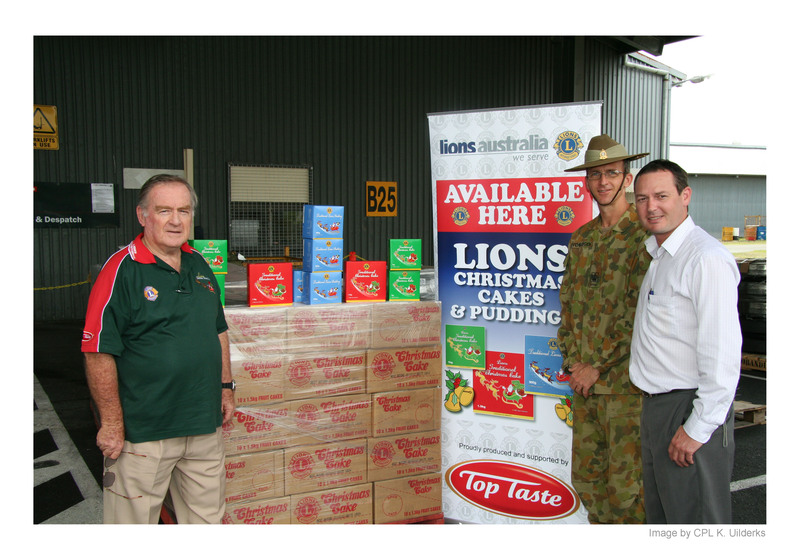 Lions with the generous support of our Cake supplier, Top Taste foods has done that for the last few years. Following a call from Marcelle Smith representing the spouses of Australian forces in Townsville to Lions Cake Chairperson Ray Hall, the wheels started turning. spending Christmas at home with their families. Lions contacted our Christmas Cake Supplier at Top Taste, a subsidiary of George Weston Foods. Without balking Top Taste jumped a the chance to help with 1440 individual cakes donated to make Christmas in Afghanistan a little nicer. Of course, it’s no mean feat to transport 3 pallets of cakes into a war zone so Lions is relying on the expert support of the Army logistics to get the cakes safely and quickly to Afghanistan. A great team effort – AND a nice Christmas story. ‹ PreviousFirst man Mathieson says Men’s sheds will replace Lions Clubs? Next ›Lions Drug Awareness Project wins second International Gong!